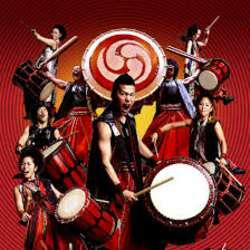 Come to see, for the first time in Milan, "Passion" of Yamato, japanese drummers band, active from Protected content , that performed Protected content in 51 countries. 16 members that live together and create a unique performance involving the public with an overwhelming energy and rythm. IMPORTANT: The show of 5th February has been canceled by the organizers, if you have already the ticket you can go on 6th or ask to have your money back. Unluckily, I cannot attend the day after but everybody can participate anyway.